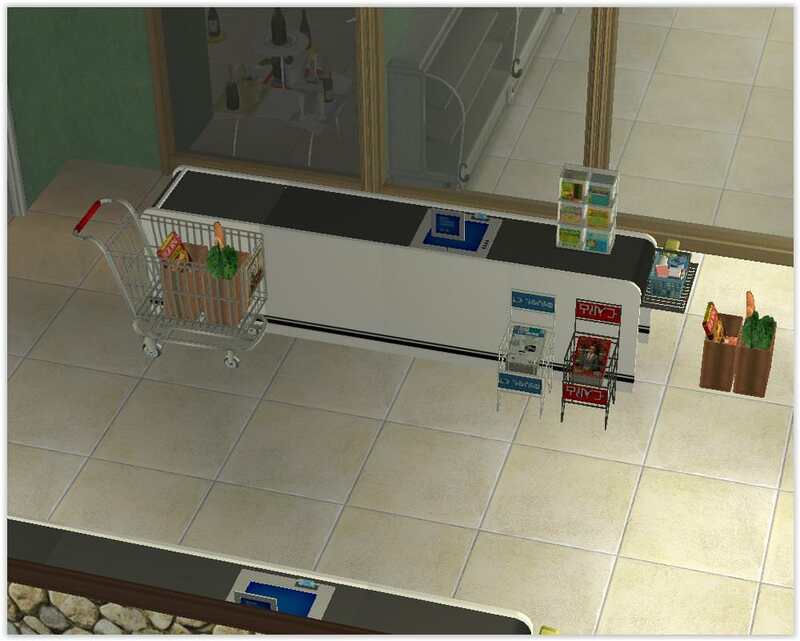 Where do your sims shop? Let's share how we run our shops and post some pictures of them. This is still pretty much a WIP, but I'd like to share some pictures before I start rebuilding it (yes, I'll have to put everything on OMSPs again!). 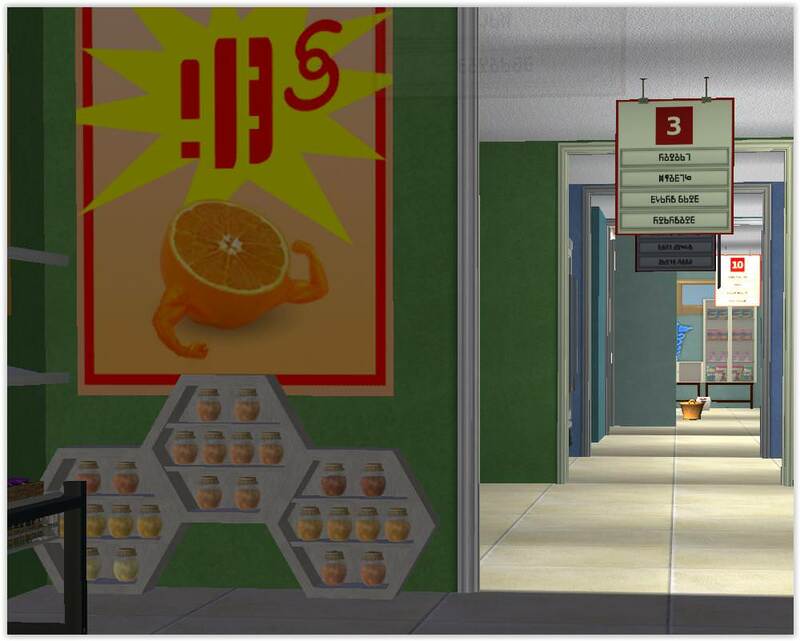 This was intended to be a massive supermarket like ASDA or Tesco in the UK. You can buy pretty much anything from there. 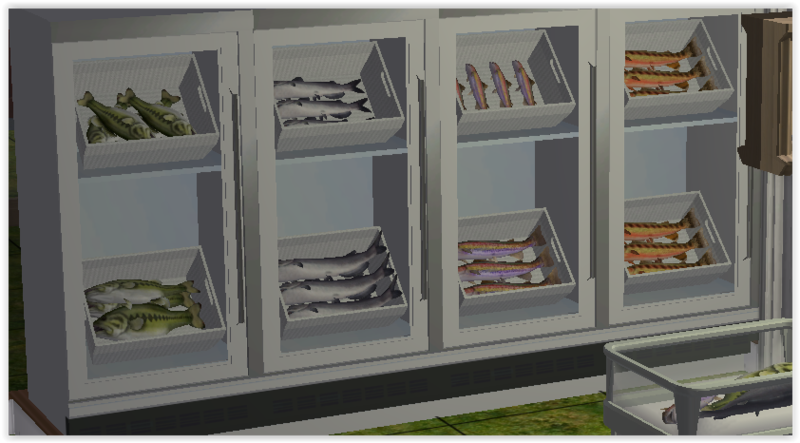 The ultimate idea is that sim suppliers would sell the owner their produce, and the goods will be restocked the standard way. However, I haven't playtested it yet, so it might be too difficult to achieve. The visitors are greeted with the smell of freshly baked breads, buns, and pastries. One of my favourite sections! There's also a huge selection of cakes and cupcakes for every occasion imaginable. There's also a cute nook for delicious honey. Lazy to cook tonight? Why not grab some takeaway meals from the supermarket? 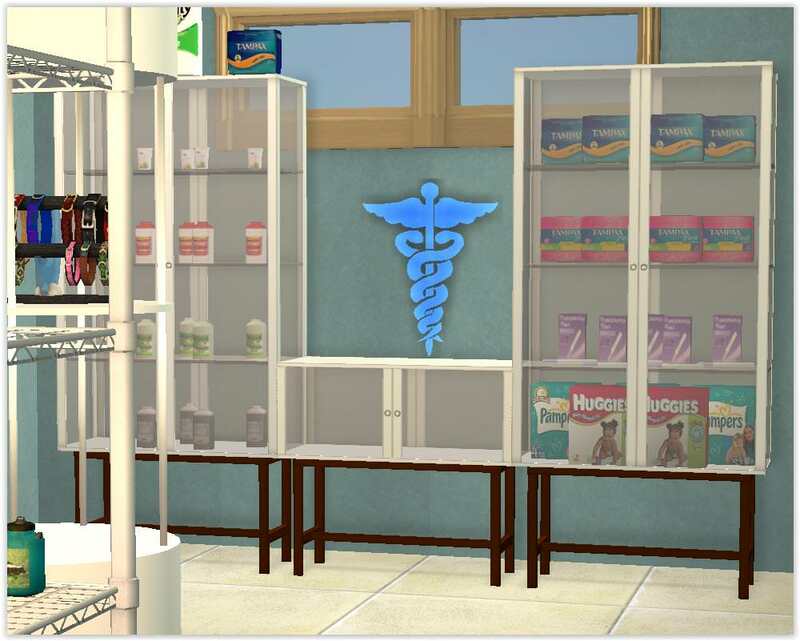 A small pharmacy section for your sims' needs. There's a miscellaneous section nearby. 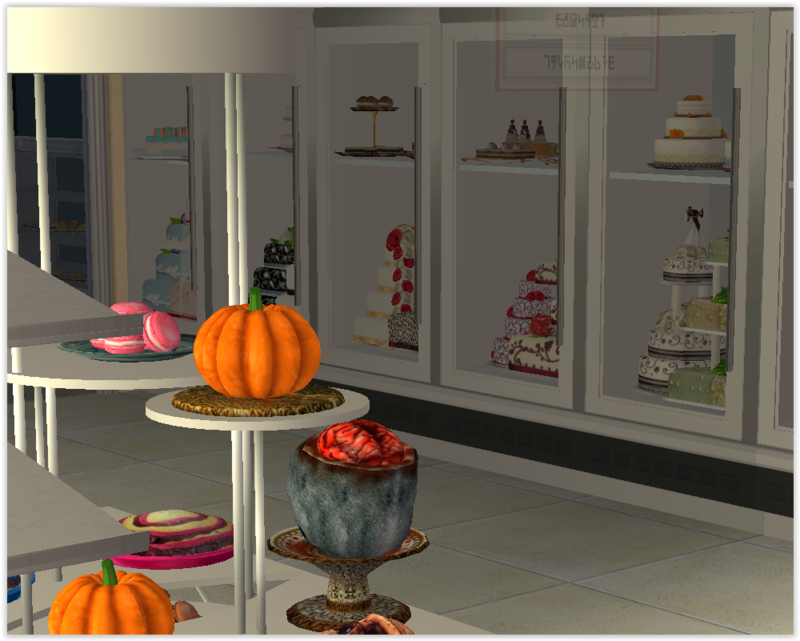 I tried to make the till look realistic as well. Clutter is everything when it comes to that. Everything that is sold is either edible or usable. Nothing is decorative. I had to go to SimPE a lot to be able to create this lot. 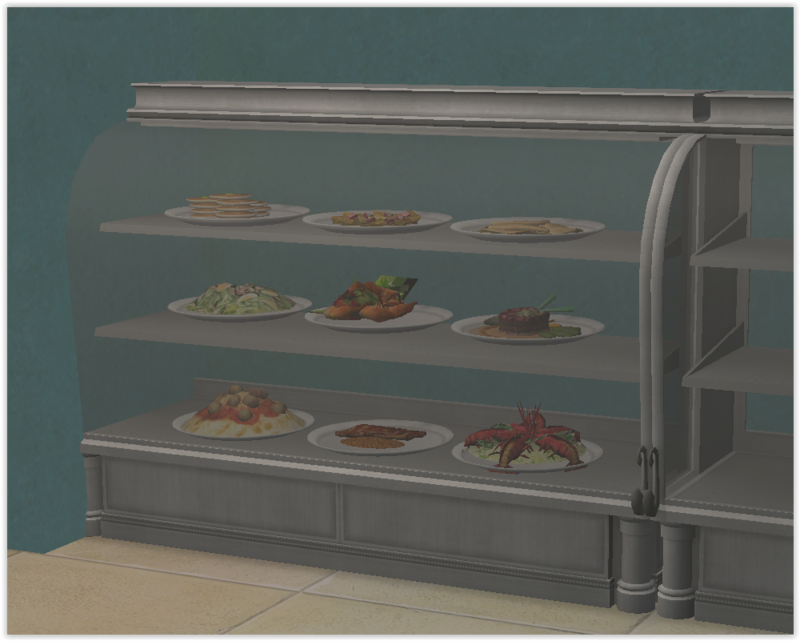 Some things had to be made invisible, some had to be enabled for the catalogue. 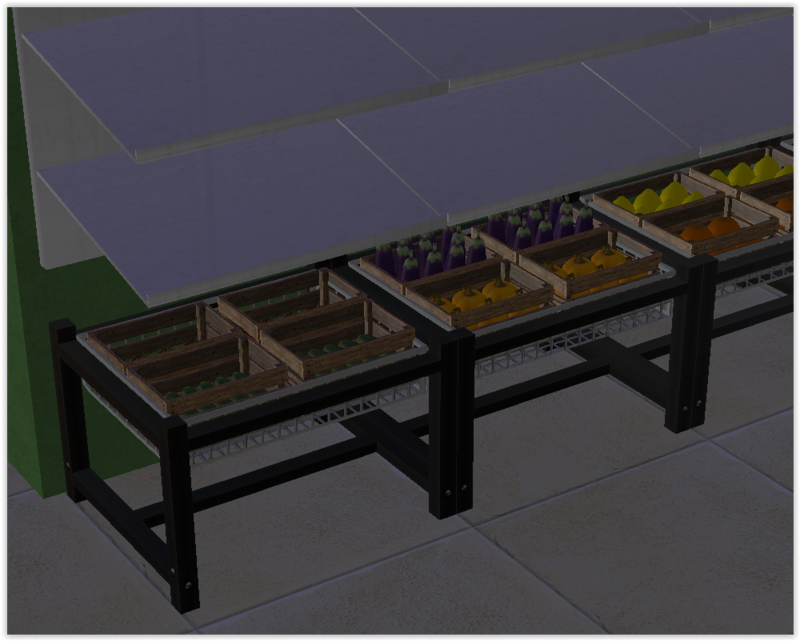 I like this lot a lot, but I am not completely satisfied with the outside, so I want to rebuild. I want to make it more modern, something that'd look great in a city.